David Letterman Isn’t Hip to Jimmy Fallon’s Avocado ToastA gift-giving gone wrong. David Letterman Interviewed Kanye West for His Netflix Talk ShowA large portion of the chat reportedly revolved around mental health. 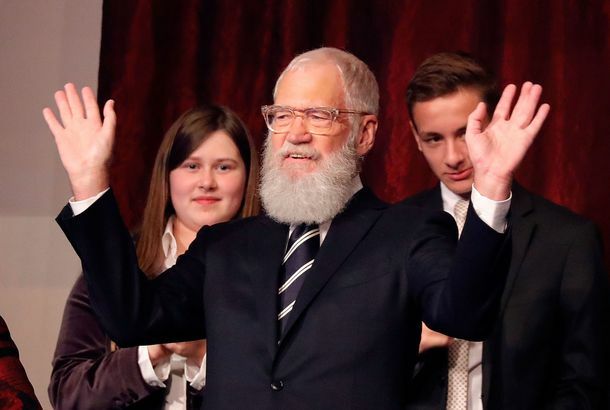 David Letterman’s Netflix Series Will Return for Season Two in 2019No guests have been announced just yet. Can You Guess How Donald Trump Rated His Daughter on the Hotness Scale?Go ahead, try. Tina Fey Calls Out David Letterman for Lack of Female Late Show Writers“That is my ignorance, and I feel bad for that,” Letterman said. Tina Fey Explains How She Turned Mean Girls Into a MusicalFey appears on Letterman’s Netflix show this Friday. This Blue Ivy Story Is the Best Minute of Jay-Z’s David Letterman InterviewA little legend. What’s New on Netflix: March 2018Martin Scorsese’s Casino, a documentary about the Flint water crisis, and much more. David Letterman’s Netflix Show Underscores the Value of the Talk-Show InterviewWith the second episode of My Next Guest Needs No Introduction, Letterman continues to make the case that talk shows should be about conversations. 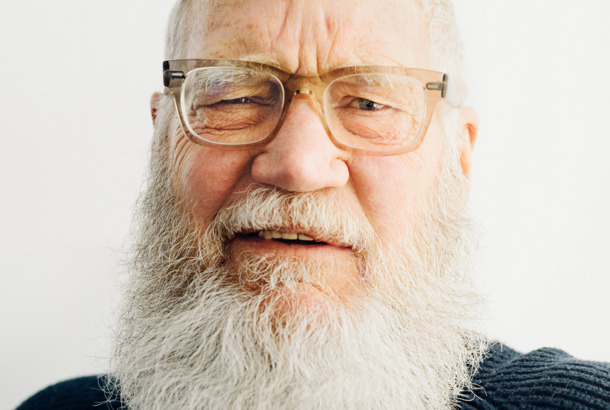 My Next Guest Needs No Introduction Is a Very Different Kind of Letterman ShowDavid Letterman’s Netflix talk show could go wherever his mind decides to wander. Obama Charms Letterman With a Story About Dropping Malia Off at CollegeHe had a lot of trouble with a dang lamp. David Letterman and Barack Obama Avoid Talking About Trump on New Netflix SeriesBoth make occasional reference to the country’s current fraught political climate, but neither mentions the current president directly. Barack Obama Once Shook What His Mama Give Him in Front of PrinceSasha made him do it. David Letterman and His Big-Name Guests Are Here in the Trailer for Netflix ShowMy Next Guest Needs No Introduction will air six 60-minute episodes monthly starting January 12. Tom Green Has a Good Freddy Got Fingered Conspiracy TheoryTom Green on working with President Trump and why Freddy Got Fingered was more successful than people think. Dave Grohl Hosted Kimmel As David Letterman and, Yes, He’s Already RetiredIn a letterman jacket! What Happened When David Letterman Was Honored at the Kennedy CenterThe Mark Twain Prize ceremony refused to be about how great he is. David Letterman Dropped Off a Horse for Conan O’Brien As a Thank-You GiftSpoiler alert: The horse ends up going to massage school. The Weird Way David Letterman Prepared Stephen Colbert to Take Over Late ShowFrom one host to another. 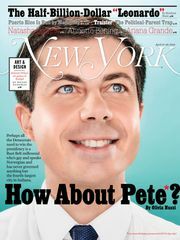 Stephen Colbert Gave David Letterman the Perfect Christmas GiftThis is right out of the Leslie Knope School of Gifting. Dorothy Mengering, David Letterman’s Mom and Late Show Regular, Dead at 95Mengering was the Late Show’s Winter Olympics correspondent and would appear via satellite to show off her homemade pies. These Are David Letterman’s Most Contentious and Uncomfortable Interviews▶️ You won’t be able to look away. 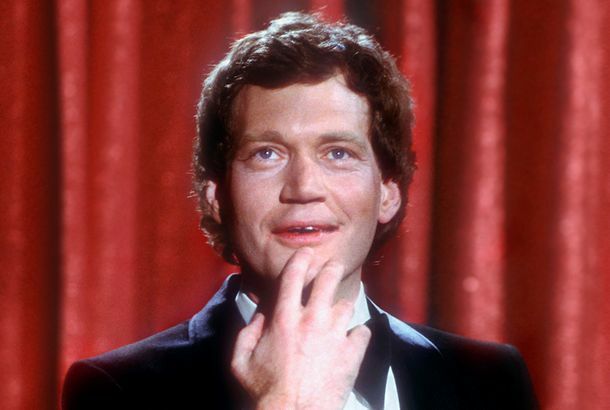 How David Letterman Became a Gen-X IconHe bailed out of his own jokes and committed to a lack of commitment. Here’s What Tina Fey Recommends to Survive TrumpThat, or just turn into Alec Baldwin. The Eric Andre Show Was the Only Late Show Weird Enough for 2016It’s powered by its creator’s agonizing awareness of the banality of late-night talk shows and the urgent need to destroy them. The Simpsons Writer Kevin Curran Dead at 59He also wrote for Late Night With David Letterman and Married: With Children.